Update! 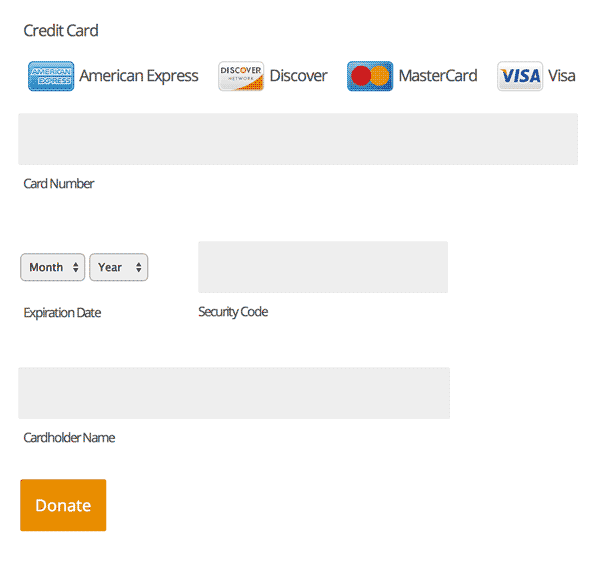 I’ve got a vastly improved Gravity Forms stylesheet, including the credit card field, these days. 9% faster performance than the default GForms CSS and absolutely gorgeous. Get it for free here! I’m a big fan of Gravity Forms, but don’t care all that much for the massive stylesheet(s) they tack on to their forms. To that end, here’s the latest installment of my “Minified Stylesheets for Gravity Forms” series. This one specifically deals with the Gravity Forms Stripe Add-on (the official one from Gravity Forms themselves, requires a developers license). The final product, assuming you use the fonts and styles listed below. This calls a few SVG images, which can be downloaded here. It also works particularly well with the font Open Sans and my minified Gravity Forms stylesheet. How come that it does not work? This post is rather old, Kennet, and they may have updated things by now. I use contact form 7 but now I have discovered Gravity forms, I will switch all my contact forms to use gravity. Love all these addon perks. Cheers Nathan.